20 Jewish immigrants from Ukraine arrived on Tuesday aboard an Israeli airliner at Lod airport, according to Yedioth Ahronoth newspaper. 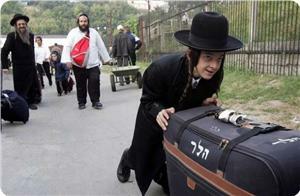 The current crisis in Ukraine led to a sharp rise in the number of Ukrainian Jews seeking to immigrate to Israel, almost twice as much as in 2013, the newspaper said. Dozens of others are expected to arrive in the next two months as part of an operation organized by the Jewish agency and the International Christian embassy in occupied Jerusalem (ICEJ). In recent years, the Jewish agency and the ICEJ helped 115,000 Jews to immigrate to Israel, among them 42,000 from Ukraine. Shots were fired toward a house in the central West Bank Israeli settlement of Psagot on Wednesday evening, a statement released by the Israeli military said. 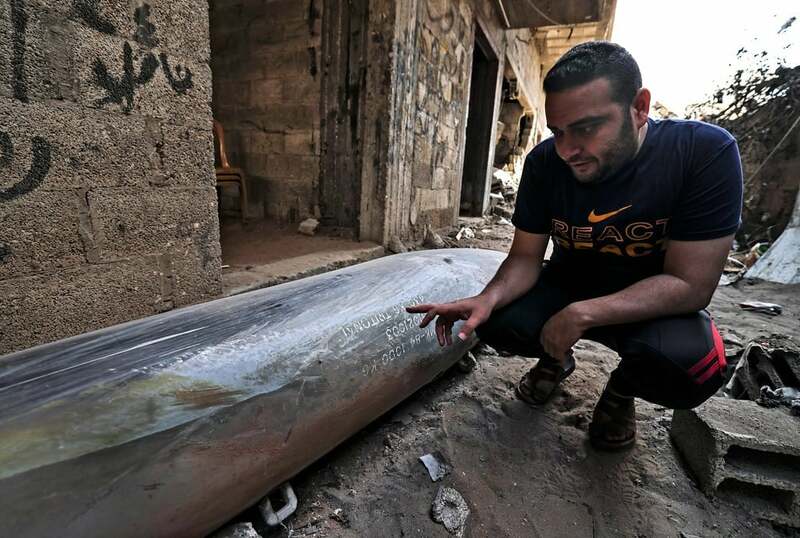 The statement said that "preliminary evidence at the scene indicates the shots were fired from an automatic weapon," and that Israeli forces were searching the area for the assailants. They added that no injuries were reported as a result of the incident. Psagot is located immediately beside the central West Bank city of Ramallah. 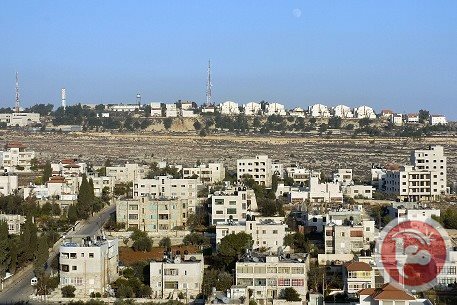 An Israeli thinktank revealed that more than 50% of the Arab population inside ‘Israel’ is living below the poverty line. The Taub Center for Social Policy Studies in Israel said the poverty rate among the ‘Arab-Israeli residents –who hold a Palestinian and an Israeli citizenship- has reached its highest level in 35 years. The report worried about the surge in poverty rate and the bad socio-economic conditions inside the Israeli state, comparing to that of other developed countries of the world, as they suffered from bad medical care, education and work. 20% of the Arab population was not able to purchase food, while 33% had to reduce their home heating or cooling costs, the report indicated. About one-sixth of them could not buy their medicine or pay for medical treatment, while 21% could not pay for dental care. As for education, the report pointed out that the Arab students' achievement had improved over the past few days but still not enough compared to the rest of the world-developed countries. The Arab workers suffer bad conditions such as working more hours compared to the other countries. The health sector witnessed a decline in the number of qualified doctors and nurses. The Taub Center for Social Policy Studies in Israel is an independent, non-partisan, socioeconomic research institute based in occupied Jerusalem..
Israel spies on the United States more than any other ally does and these activities have reached an alarming level, Newsweek magazine reported Tuesday. Newsweek said a congressional staffer familiar with a briefing last January called the testimony "very sobering ... alarming ... even terrifying," and quoted another as saying the behavior was "damaging." 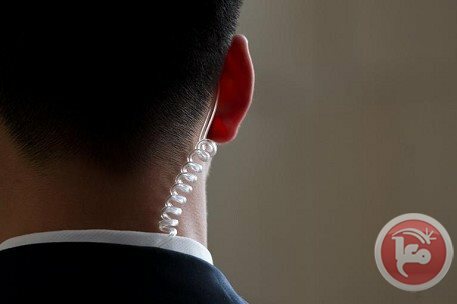 The former congressional staffer said the intelligence agencies did not give specifics, but cited "industrial espionage—folks coming over here on trade missions or with Israeli companies working in collaboration with American companies, (or) intelligence operatives being run directly by the government, which I assume meant out of the (Israeli) Embassy." Israeli Foreign Minister Avigdor Lieberman on Wednesday denounced as a "fifth column" thousands of Palestinian citizens of Israel who joined a demonstration calling for the right of return for Palestinian refugees. "Those who marched with flags of the Palestinian Authority demanding that it not give up on the right of return, are a fifth column whose aim is the destruction of Israel," he told army radio. 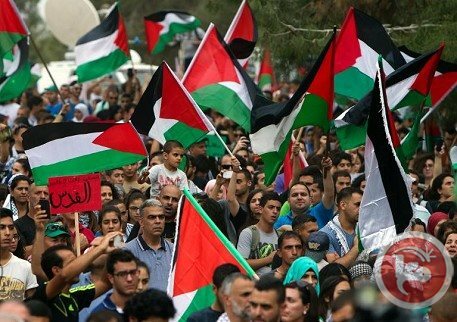 "To those Arabs that took part today in the 'Nakba Day' procession and waved Palestinian flags, I suggest that next time they march directly to Ramallah and they stay there," he wrote. But he acknowledged that those who joined the Nakba demonstration were only "a minority" among Israel's Palestinian minority, who make up just over a fifth of the overall population of 8.2 million. 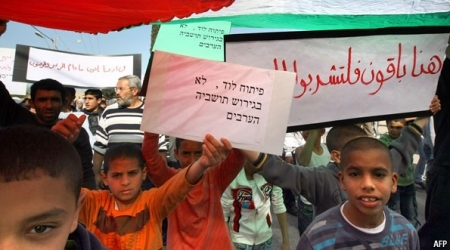 At the rally, which took place in a small village in northern Israel, the protester marched under the slogan: "Your 'independence' day is our Nakba" - the Arabic for catastrophe. Lieberman, a hardliner within the ruling right-wing coalition, is an open proponent of the concept of "transfer" -- transferring densely-populated Palestinian areas in Israel to the control of the PA in any future peace deal. Some 10,000 Palestinian residents of Israel rallied in the north on Tuesday to demand the right of return for refugees expelled after the creation of the Israeli state in 1948. Lubya was home to 2,726 Palestinians until 1948, when Jewish mobs captured the village during the Arab-Israeli conflict that led to Israel's creation. Demonstrators waved Palestinian flags and read out the names of 530 Palestinian villages that were emptied 66 years ago, before observing a minute's silence in their memory. Whatever happened to honor among thieves? When the National Security Agency was caught eavesdropping on German Chancellor Angela Merkel’s cell phone, it was considered a rude way to treat a friend. Now U.S. intelligence officials are saying—albeit very quietly, behind closed doors on Capitol Hill—that our Israeli “friends” have gone too far with their spying operations here. An Israeli Embassy spokesman flatly denied the charges Tuesday after initially declining to comment. Aaron Sagui told Newsweek "Israel doesn't conduct espionage operations in the United States, period. We condemn the fact that such outrageous, false allegations are being directed against Israel." Representatives of two U.S. intelligence agencies, while acknowledging problems with Israeli spies, would not discuss classified testimony for the record. The FBI would neither confirm nor deny it briefed Congress. A State Department representative would say only that staff in its Consular and Israel Palestinian Affairs offices briefed members of Congress on visa reciprocity issues. Of course, the U.S. spies on Israel, too. “It was the last place you wanted to go on vacation,” a former top CIA operative told Newsweek, because of heavy-handed Israeli surveillance. But the level of Israeli espionage here now has rankled U.S. counterspies. Israel and pro-Israel groups in America have long lobbied U.S. administrations to free Pollard, a former U.S. naval intelligence analyst serving a life sentence since 1987 for stealing tens of thousands of secrets for Israel. (U.S. counterintelligence officials suspect that Israel traded some of the Cold War-era information to Moscow in exchange for the emigration of Russian Jews.) After denying for over a decade that Pollard was its paid agent, Israel apologized and promised not to spy on U.S. soil again. Since then, more Israeli spies have been arrested and convicted by U.S. courts. While all this was going on, Israel was lobbying hard to be put on the short list of countries (38 today) whose citizens don’t need visas to visit here. Until recently, the major sticking point was the Jewish state’s discriminatory and sometimes harsh treatment of Arab-Americans and U.S. Palestinians seeking to enter Israel. It has also failed to meet other requirements for the program, such as promptly and regularly reporting lost and stolen passports, officials say—a problem all the more pressing since Iranians were found to have boarded the missing Malaysia Airlines flight with stolen passports. The Israelis “thought they could just snap their fingers” and get friends in Congress to legislate visa changes, a Hill aide said, instead of going through the required hoops with DHS. But facing resistance from U.S. intelligence, Israel recently signaled it’s willing to work with DHS, both Israeli and U.S. officials say. “Israel is interested in entering into the visa waiver program and is taking concrete steps to meet its conditions,” Israeli Embassy spokesman Aaron Sagui told Newsweek. “Most recently, the U.S. and Israel decided to establish a working group to advance the process,” Sagui added, saying that “Deputy Minister of Foreign Affairs Zeev Elkin will head the Israeli delegation.” He refused to say when the Elkin delegation was coming. The path to visa waivers runs through DHS and can take years to navigate. For Chile, it was three years, a government official said on a not-for-attribution basis; for Taiwan, “several.” Requirements include “enhanced law enforcement and security-related data sharing with the United States; timely reporting of lost and stolen passports; and the maintenance of high counterterrorism, law enforcement, border control, aviation and document security standards,” a DHS statement said. But U.S. counterspies will get the final word. And since Israel is as likely to stop spying here as it is to give up matzo for Passover, the visa barriers are likely to stay up. As Paul Pillar, the CIA’s former national intelligence officer for the Near East and South Asia, told Newsweek, old habits are hard to break: Zionists were dispatching spies to America before there even was an Israel, to gather money and materials for the cause and later the fledgling state. Key components for Israel’s nuclear bombs were clandestinely obtained here. “They’ve found creative and inventive ways,” Pillar said, to get what they want. The information office of Al-Qassam Brigades, the armed wing of Hamas, has released a song in Hebrew that satirically simulates Israel's national anthem "The Hope" and contains a message to the Zionist Jews. 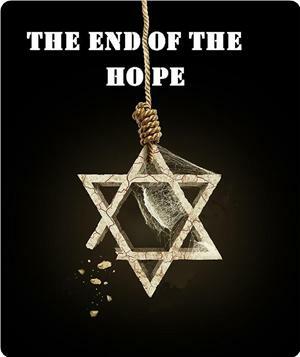 "The End of the Hope" is Israel's new anthem and a gift for its Jewish settlers on the occasion of their so-called independence day (the occupation of Palestine), according to Al-Qassam Brigades of Hamas. One of the makers of this video clip told Al-Qassam Brigades website that the song contained a message to the Jewish masses in occupied Palestine that the Palestinian people will never forget their land or be terrorized by the Israeli army. "The anthem sends a message to the Zionists that the hope they are living for has been dissipated by the resistance fighters and that their entity will disappear soon," he said. He noted that the song was inspired by Israel's national anthem and its words were cleverly drafted in a way that strikes the Zionist ideology and the Jews' dream. US National Security Advisor Susan Rice will visit Israel this week for high-level talks only days after the collapse of a US-led peace bid, the White House said Tuesday. Rice will "lead the US delegation to the US-Israel Consultative Group meetings" on Wednesday and Thursday, said Caitlin Hayden, spokeswoman for the National Security Council. 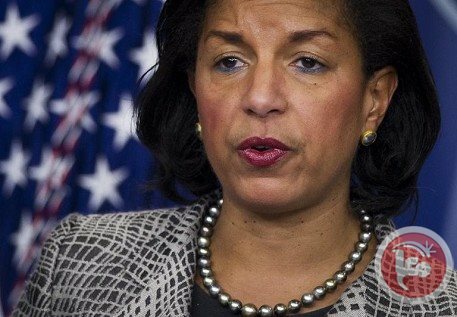 It will be Rice's first trip to Israel since becoming the top security adviser to President Barack Obama in July and also comes just ahead of resumed negotiations on Iran's nuclear program. The consultative group meets regularly for "strategic interagency consultations with senior members of the US and Israeli governments to discuss a wide range of bilateral and regional security issues." Rice will also meet with Israeli President Shimon Peres and Prime Minister Benjamin Netanyahu, Hayden said in a statement. The trip comes as the White House is evaluating whether to continue with its hard-fought negotiations to strike a peace deal after Netanyahu last month announced Israel was pulling out of the process. The Israeli leader has angrily denounced moves by the President Mahmoud Abbas to strike a reconciliation deal with Hamas, which controls the Gaza Strip. State Department deputy spokeswoman Marie Harf Monday dismissed reports that Secretary of State John Kerry had decided to dismantle the team of negotiators who have been based on the ground in Jerusalem for months trying to push forward the Israeli-Palestinian peace process. "We're going to see where this goes from here and, you know, figure out what makes sense in terms of staffing," she told reporters, saying "we have some senior officials that will be going soon" to the region, without going into specifics. Chief US negotiator Martin Indyk was said to have been quoted anonymously in an interview in the Israeli daily, Yedioth Ahronoth, in which US officials blamed Israel for the breakdown in the talks and said Netanyahu "did not move more than an inch." Harf insisted no one side was to blame, saying "both sides did things that were incredibly unhelpful." She did confirm, however, that Kerry is mulling whether to release a document laying out some of the principles reached during the nine months of talks. Indyk, a former US ambassador to Israel, has meanwhile returned to Washington for consultations, Harf confirmed. 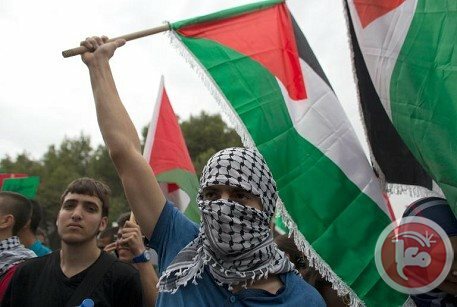 Member of PLO Executive Committee Dr. Hanan ‘Ashrawi expressed, Monday, that the Israeli government and its extreme right-wing coalition reveal the true face of an Israeli apartheid regime based on discrimination, exclusion and rejection of the other, in gross violation of humanitarian and international law. 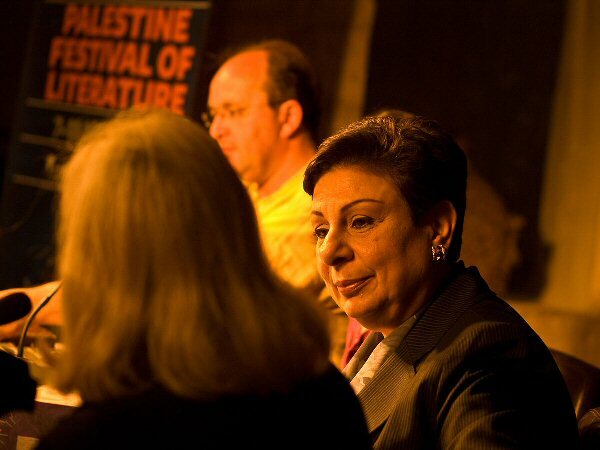 ‘Ashrawi's statement comes in reaction to Israeli Prime Minister’s Benjamin Netanyahu’s plans to enshrine Israel's status as the 'national homeland for the Jewish people' in law, adding that Netanyahu is thereby turning Israel in to a state based on racism by law, and that such plans are part of Israel’s political decision and on-going escalation on all levels, Palestinian news & info agency WAFA has reported. Just yesterday, Israeli Prime Minister Benjamin Netanyahu moved in defense of his plans to secure Israel's status as the national homeland for the Jewish people by state law. At the weekly cabinet meeting, Netanyahu said his aim was to "anchor" Israel's status in law, ensuring that it would remain a Jewish state, following any peace deal with the Palestinians. "There are those who do not want Israel to be defined as the national homeland for the Jewish people," he said in remarks broadcast on public radio. "They want a Palestinian national homeland to be established here next to us, and that Israel be gradually turned into a bi-national Jewish-Arab state within our reduced borders," he told ministers in a reference to Israel's Arab minority who number just over 20 percent of the population. According to figures published ahead of independence day, which is marked from sundown Monday, Israel's population stands at 8.2 million, the Central Bureau of Statistics said. Of that figure, 75 percent, or 6,135,000 people, are Jewish, while Arab Israelis account for 20.7 percent, or 1,694,000 people. In related political divergence, leader of the Israeli Meretz Party, Zahava Gal-on, said last week that the current Israeli government of Prime Minister Benjamin Netanyahu is not interested in peace. Gal-on stated, in an interview with Radio Israel, that the Netanyahu government must regain its senses and put the new Palestinian government to the test, to make sure that it is committed to conditions submitted by the Middle East Quartet. Prime Minister Benjamin Netanyahu on Sunday moved to defend his plans to enshrine Israel's status as the national homeland for the Jewish people in law. 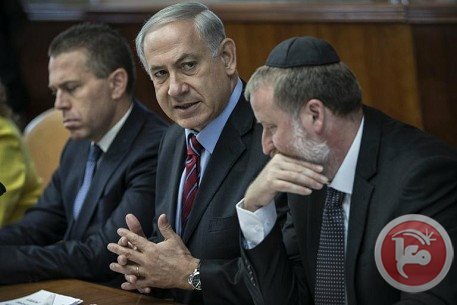 Speaking at the weekly cabinet meeting, Netanyahu said the aim was to "anchor" in law Israel's status and ensure it would remain a Jewish state following any peace deal with the Palestinians. Netanyahu and others in the rightwing camp have long expressed fears that following the establishment of a Palestinian state, Israel's Arab citizens would seek to press their own claims for territory in the northern Galilee and southern Negev regions. "You cannot say we want to break away from the Palestinians to prevent a bi-national state -- something which has a certain logic -- and at the same time give your blessing to a bi-national, Jewish-Arab state within Israel's permanent borders," he said. "Israel gives full equal rights to all of its citizens but it is the national homeland of just one people - the Jewish people." Throughout the most recent round of peace talks, which ended in crisis on Tuesday with the sides bitterly at odds, Netanyahu demanded such recognition from the Palestinians, insisting it was a core issue of the conflict. For them, accepting Israel as a Jewish state would mean accepting the Nakba, or "catastrophe", that befell them when 760,000 of their people fled or were forced out of their homes in the war that accompanied Israel's establishment in 1948. Israel's Arab minority are the descendants of the 160,000 Palestinians who remained on their land after 1948.